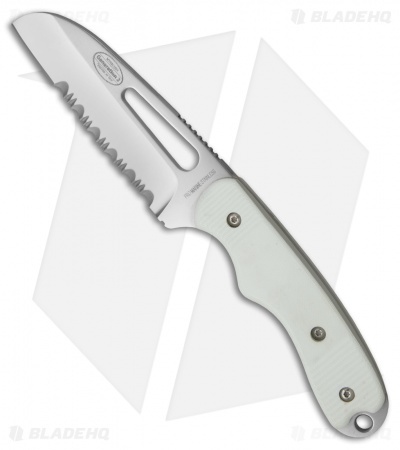 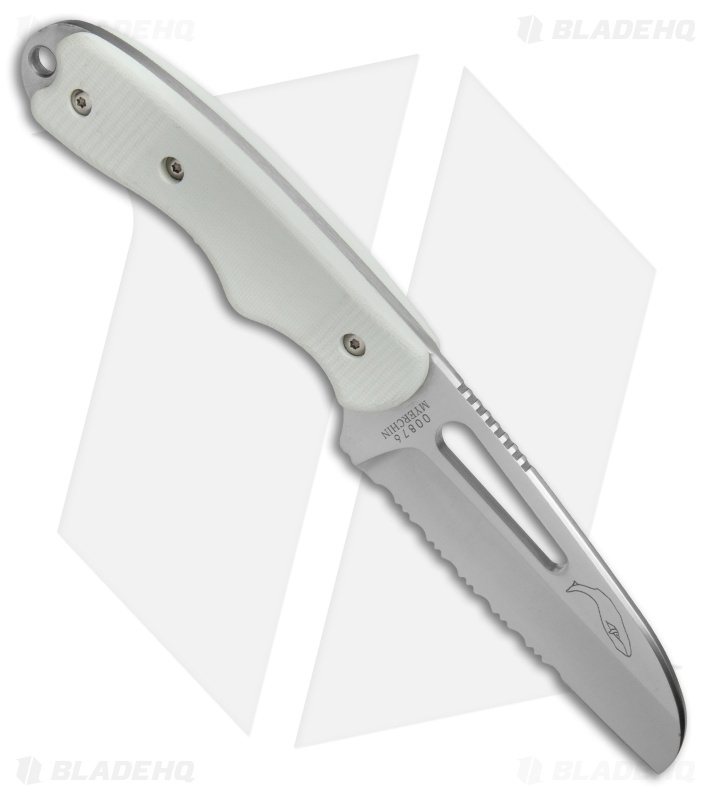 This Myerchin Offshore System features a classic sheepsfoot style fixed blade with a white G-10 handle, a 7-inch Myerchin Marlinspike, and a durable heavy leather belt sheath. The fixed blade is equipped with a full-tang Pro Marine stainless steel blade with a satin finish and a partially serrated cutting edge. 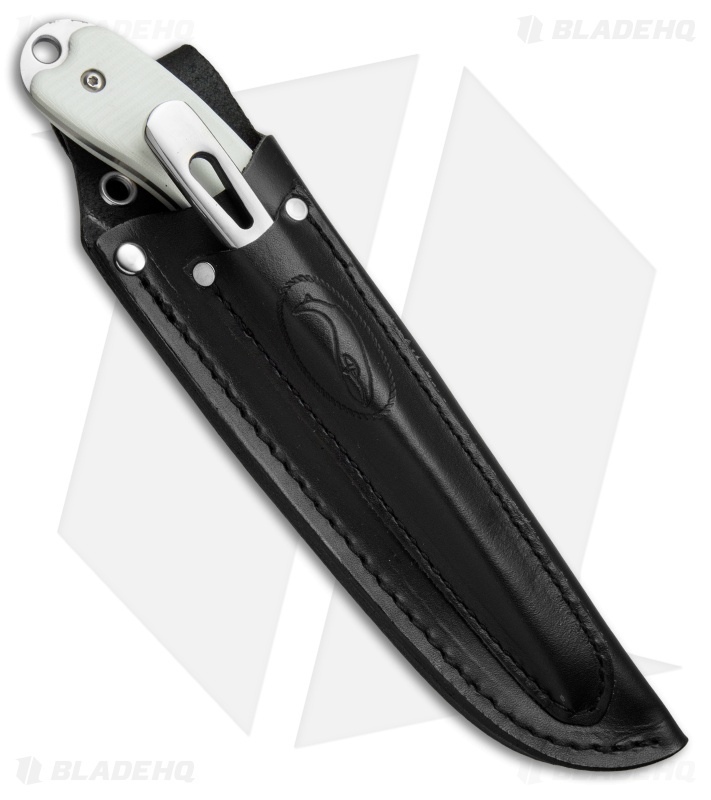 Egonomic G-10 handle scales, paired with jimping on the blade spine, offer excellent grip security and blade control. 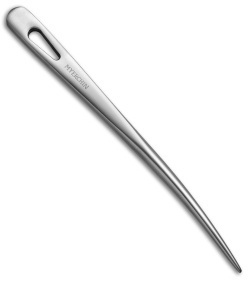 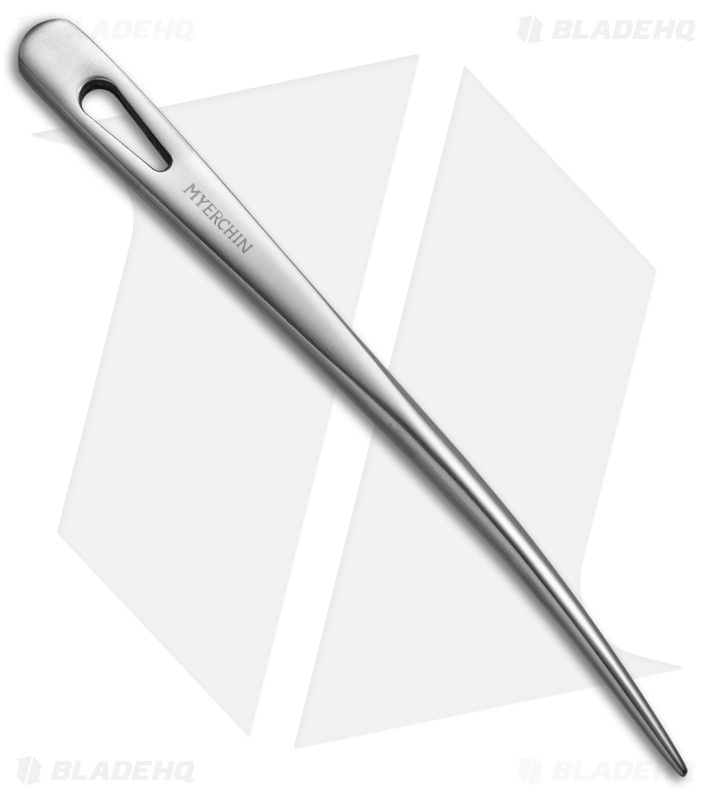 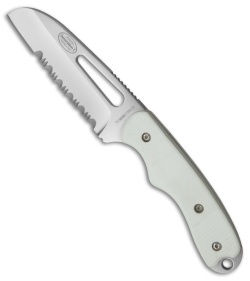 Full-tang stainless steel blade offers exceptional durability and corrosion resistance. Contoured G-10 handle feels great in hand and stays comfortable throughout the day. Included leather sheath fits both the knife and marlinspike for secure belt carry.